When something goes wrong in drainage, which inevitably happens from time to time, you can find yourself extremely grateful for the expertise of engineers in dealing with the problem quickly and effectively. Without a fast and efficient response, issues can escalate out of control. Old fashioned virtues of hard work, determination and diligence are equally valuable in these circumstances. Jet Aire were delighted to receive praise for showing all of these qualities after completing a difficult remedial operation for one of our most valued clients, Northumbrian Water. “I just wanted to pass my thanks over and make you all aware of the fantastic work carried out over the last two days down at Bishop Auckland. The penstock in the chamber was damaged and blocking the network. We were unable to remove the restriction and raise the penstock, so the only option was to over-pump the network and carry out man-entry. Over-pumping went on for two days, along with crews vaccing out the chamber. This dropped the levels, so the guys were able to carry out man-entry. However, due to gas monitors going into alarm, the full breathing apparatus had to be used. As you can imagine, it was a very difficult task indeed to set up two pumps, continuously vac out, tip the wagon, apply high-pressure jetting and carry out full breathing apparatus man-entry – all during the heat we are currently experiencing. Along with the difficulty surrounding the site, we also had the diesel stolen from the pumps and had to deal with a damaged hydraulic cable. These works continued over two days and the Jet Aire guys worked overtime on both days at very little notice. They were professional, hard-working throughout and dogged in the approach to resolve the issue. In drainage, it’s impossible to avoid occasional issues, no matter what steps you take to prevent them. 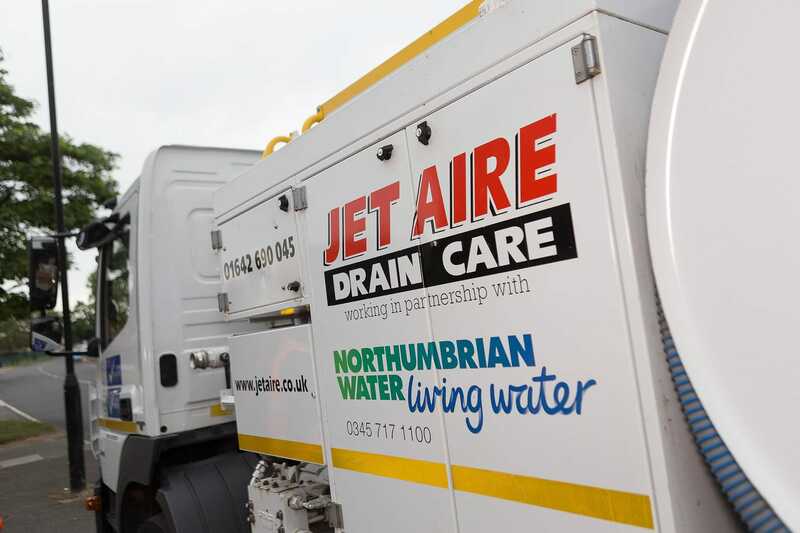 That’s why it’s important to have prompt and reliable remedial support – and Jet Aire are delighted to continuing providing this support for Northumbrian Water whenever they need us.